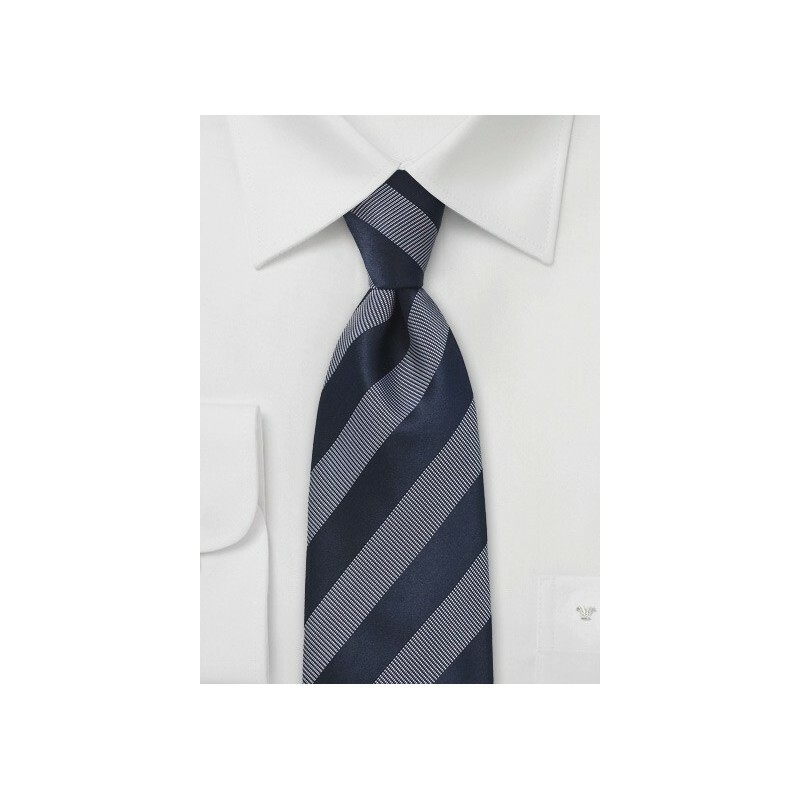 Whether you are in market for sophisticated suiting accessories or casual essentials, this sharp and sleek striped necktie in midnight blue and white is the perfect menswear accessory for you. 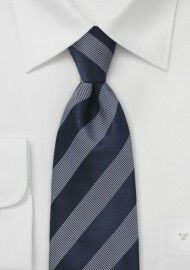 This versatile necktie has a powerhouse aesthetic that mixes and matches with absolutely everything. Debut a flawless ensemble by teaming this masculine necktie with a microcheck navy and white button down and a two button notch collar suit in dark midnight blue. Impeccably designed, constructed and handwoven from a premium grade silk.